The Royal World Premiere of "For Your Eyes Only" was held on 24th June 1981 at London's Odeon Leicester Square Theatre in the presence of British Royals Prince Charles and the then Lady Diana Spencer [Princess Diana] of England. In attendance from the production were: producer Albert R. 'Cubby' Broccoli, director John Glen, production designer Peter Lamont, Roger Moore, Topol, Lynn-Holly Johnson, Julian Glover and Cassandra Harris. 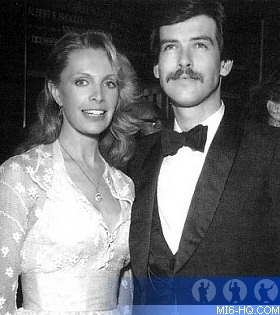 The launch was also attended by future James Bond actor Pierce Brosnan, who accompanied his then wife Cassandra Harris. 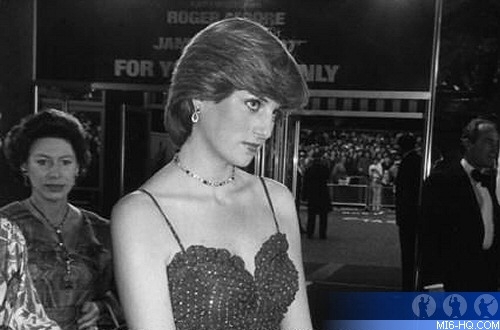 Above: Lady Diana Spencer wore a Bellville Sassoon dress to the premiere. The thousands of fans who had waited hours outside the theatre saved their biggest cheers for the Royal couple, who were accompanied by Princess Margaret. The couple were due to be married a month after the film premiere, and were attracting huge publicity around the world. This was the first 007 premiere attended by Diana. Roger Moore presented the Prince of Wales with a solid gold version of a 007 digital watch which plays the James Bond theme at the touch of a button. Moore sat next to Lady Diana during the screening. Above: Lynn Holly-Johnson meets Prince Charles. Procedes from the premiere, including official programs which were sold for 5, were in aid of two charities: the National Society for the Prevention of Cruelty to Children (NSPCC), and the Royal Association for Disability and Rehabilitation (RADAR). There were some concerns that the opening scene, where a wheel-chair bound Blofeld is dropped down a chimney, would be seen as being in bad taste, but the sequence received raucous laughter from the charity's disabled patrons at the event. Above: Lady Diana Spencer and Princess Margaret inside the foyer of the Odeon. A huge crowd formed in Leicester Square to see 007 and the Royal couple. Topol, who played Columbo in the film, suggested to Cubby Broccoli that he should invite his former producing partner Harry Saltzman to the event, after the partnership had split up in 1975. He did so, and Saltzman accepted the invitation and they rekindled a friendship. Though the film did well enough at the box office (its worldwide gross reached $195,300,000) but in America, admissions had slipped to 19.8 million, almost six million down on "Moonraker". 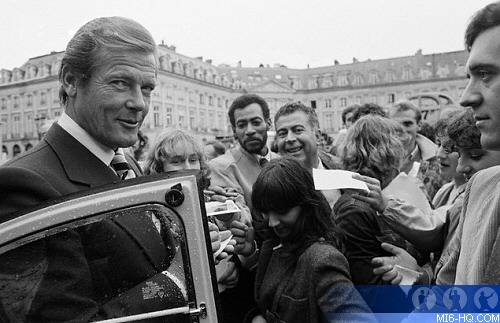 Above: Roger Moore promoting the film in Paris, France.